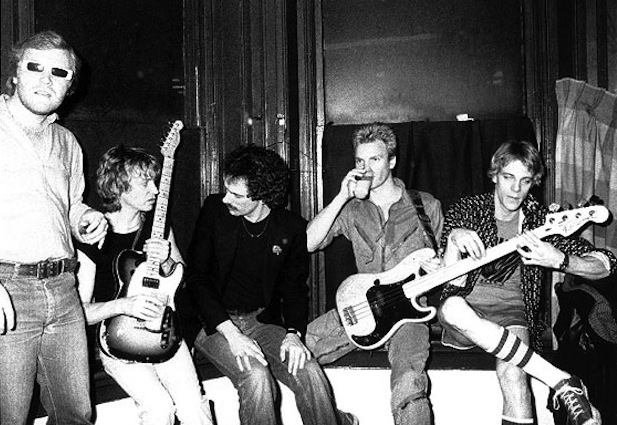 The Police hang at The Edge in 1979 with Q107′s Gary Slaight (left) and Brian Master (third from left). Photo courtesy of Gary Topp. Article originally published November 2, 2012 by The Grid online (thegridto.com). After punk exploded in the late ’70s, this infamous Gerrard Street new-wave mecca kept the fire burning into the ’80s—even if its many famous performers were in danger of getting doused by the overflowing upstairs toilets leaking onto the stage. Club: The Edge, 70 Gerrard St. E.
History: On the northeast corner of Gerrard and Church sits a modest three-floor building that has had—and housed—many lives. It is said to have once been the residence of Egerton (pronounced “Edge-erton”) Ryerson, a prominent Canadian educator who, in 1852, founded the Toronto Normal School at what is now Bond and Gould streets. Ryerson University is named after him, as was Egerton’s Restaurant and Tavern, a student hangout and folk-music club that opened at 70 Gerrard St. E. in the early 1970s. Licensed as a “listening room” and required to sell food, Egerton’s was open seven days a week, sold cheap beer, and booked live performers like Stan Rogers. 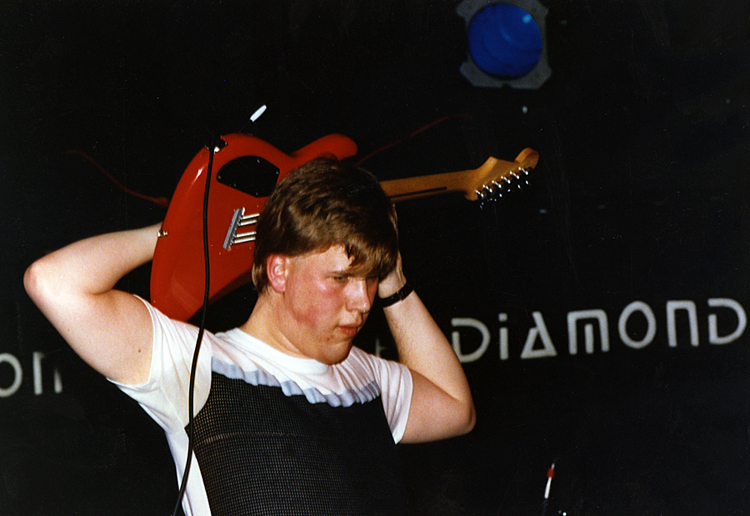 “We lived in the shadow of The Riverboat [in Yorkville] and bigger clubs that had bigger stages and dance floors, like the El Mocambo, Midwich Cuckoo Tavern, and Jarvis House,” recalls Derek Andrews, a veteran Toronto live-music programmer who got his start in the industry as a dishwasher at Egerton’s in January 1974. Andrews would continue at the location for almost eight years, working his way up to busboy, waiter, and general manager. He shares that Egerton’s had been owned by Warren Beamish, PC candidate for the Rosedale riding in 1974’s federal election, before it was acquired by Bernie Kamin and Harvey Hudes, partners in Mosport Park, among other projects. The pair brought in a young Ron Chapman as co-owner and managing operator. Chapman and Andrews—who together would run the Nite Life management company which represented artists including songwriter Eddie “Hit Me With Your Best Shot” Schwartz, Paul Quarrington, and Ellen McIlwaine—would go on to book the likes of legendary funk drummer Bernard Purdie during Egerton’s later period. But Chapman also had an eye on Toronto’s emerging underground. 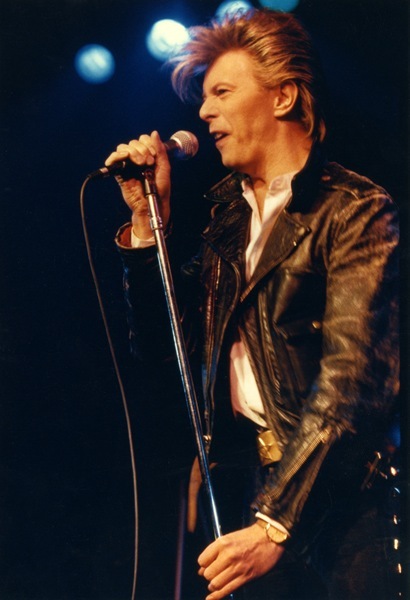 Late in 1978, he invited prescient concert promoters Gary Topp and Gary Cormier, together known as The Garys, to come book live music at Egerton’s. The Diamond Club dancefloor. This and all photos in gallery by Gokche Erkan. All rights reserved. Article originally published September 12. 2012 by The Grid online (thegridto.com). We revisit the crown jewel of late-‘80s Toronto nightlife, where everyone from house enthusiasts to members of Pink Floyd felt right at home. 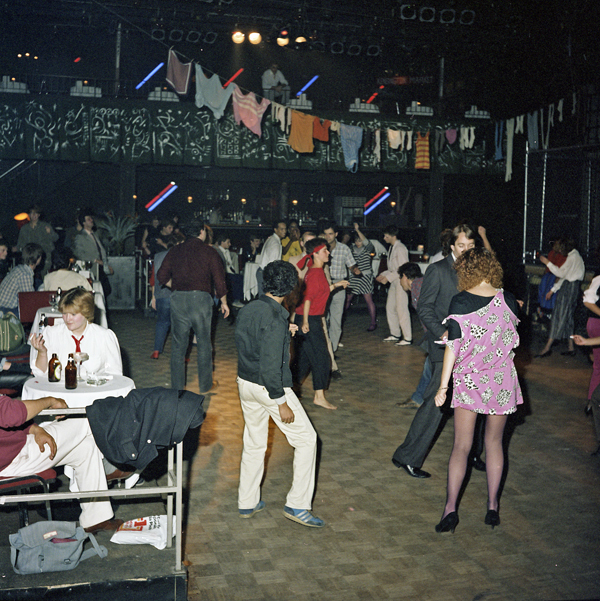 Club: The Diamond Club, 410 Sherbourne St.
History: While Torontonians have known 410 Sherbourne as a dance club and concert venue for almost three decades, the building was once home to music and theatrics of a different sort. 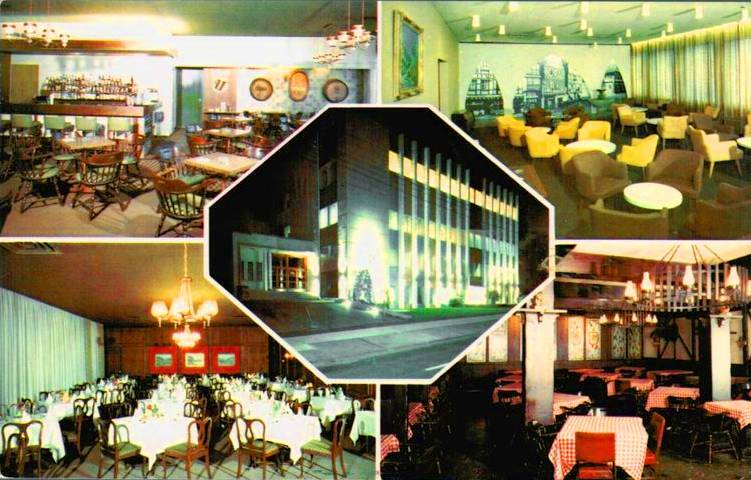 Starting in the 1950s, the German-Canadian Club Harmonie offered everything from community gatherings to oom-pah bands to ballroom dancing at the address. In the early 1980s, New Yorker Pat Kenny entered the picture. At the time, Kenny owned or co-owned three Manhattan clubs: Greenwich Village rock spots The Bitter End and Kenny’s Castaways (now run by his son), and larger dance club and concert venue The Cat Club. Though based in New York, Kenny took an interest in Toronto. Friends involved in The Village Gate nightclub and dinner theatre wanted to open an offshoot location here; Kenny opened it at 410 Sherbourne, with Club Harmonie still holding court in a small space within the building. After a few unsuccessful productions, the dinner theatre folded, and Kenny rented the entire building to open a nightclub. Maria Del Mar (left), Al Jourgensen of Ministry, Ogre of Skinny Puppy and Chris Sheppard backstage at RPM. Photo courtesy of Sheppard. Article originally published July 26, 2012 by The Grid online (TheGridTO.com). We revisit the club that brought nightlife to the deepest edge of downtown, welcomed legends like the Ramones and Beastie Boys, and transformed resident DJ Chris Sheppard into a globe-trotting superstar. History: Before the mid-1980s, the bottom of Jarvis Street, along Queens Quay, was not a clubbing destination. Sure, people had been known to party at Jackie’s, a nightclub space created within the Hilton Hotel at Harbour Square (now the Westin Harbour Castle), and things at Captain John’s could get rowdy on occasion, but the area was far less traveled than it is today. What this legal and financial tussle makes clear is that the huge converted warehouse building at 132 Queens Quay E. had already become a coveted nightclub spot. A week after its doors were chained, a crew of people largely associated with Yorkville hotspot The Copa (including Martin Arts and Neil Vosburgh), along with artist/entrepreneur Murray Ball, were the new owners. Crowd at Komrads. Photo courtesy of Shawn Riker. Article originally published June 21, 2012 by The Grid online (TheGridTO.com). 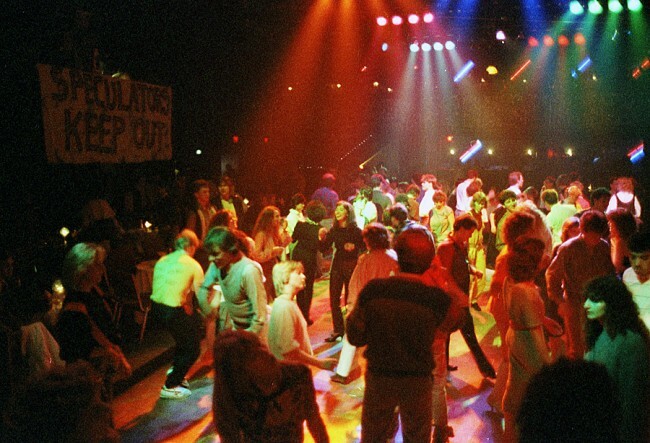 In this edition of her nightlife-history series, Denise Benson takes us back to the after-hours nightclub that helped mobilize Toronto’s gay-rights movement in the 1980s. Club: Komrads, 1 Isabella St.
History: In 1980s’ Toronto, street corners and dance clubs still served as essential meeting spots for gays and other marginalized communities. The stretch of Isabella closest to Yonge called out to many, especially after dark. On the outer edges of the Church and Wellesley-centred gay village, the corner was close to popular homo haunts including Yonge Street’s St. Charles Tavern, Trax, and the Parkside Tavern, with gay dance club Stages above it. Nearby bathhouses were plentiful, Queen’s Park was still a major pick-up spot, and easy bar-hopping meant that gay men had lots of options even in those pre-Grindr days. 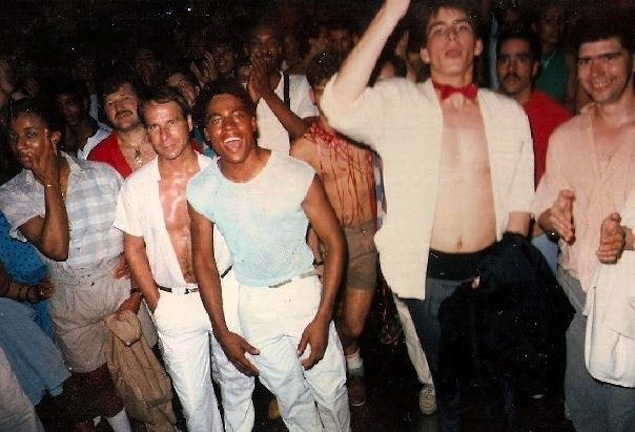 “The Yonge and Isabella area was really amazingly gay,” recalls event producer Maxwell Blandford, once a key figure in adventuresome Toronto clubs and now based in Miami. “Many bars, along with stores like Northbound Leather, were within a couple of blocks and infused thousands of gay people into that corridor. 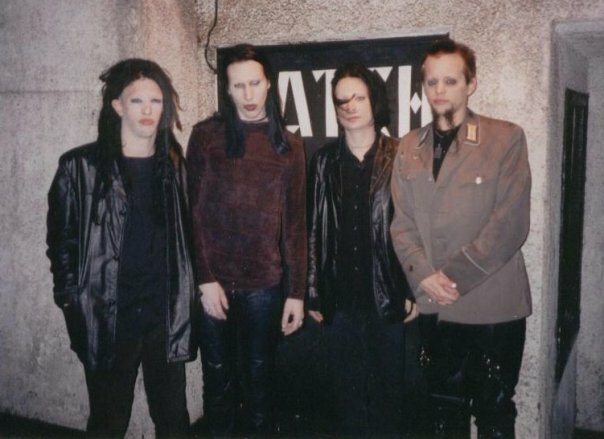 Marilyn Manson outside of Catch 22, circa mid-1990s. Photo courtesy of Andy Gfy. Article originally published by The Grid online (The GridTO.com) on May 24, 2012. In the early ‘90s, alternative rock was exploding overground, with the rave scene coming up right behind it. This beloved Adelaide Street club bridged these two movements together in a legitimate, licensed space. Club: Catch 22 Niteclub, 379 Adelaide W.
History: While a five-year-lifespan tends to be a decent run for nightclubs in this city, some strike a nerve and manage to go it longer, thanks to an ever-evolving community of supporters. Catch 22 was such a venue. Located on Adelaide near the corner of Spadina, Catch was slightly off the beaten path as it lay on the edges of the then-developing club district and was a few minutes’ walk south from Queen West. It was opened in November of 1989 by a group of friends—with Pat Violo, Lex van Erem, and Gio Cristiano at the core—in a former storage space on the building’s lowest level. Photo by Julie Levene, courtesy of Barry Harris. Article originally published March 15, 2012 by The Grid online (TheGridTO.com). Denise Benson looks back at the massive, corporate-owned Yorkville spot that helped create Toronto’s big-ticket nightclub experience in the early 1980s. 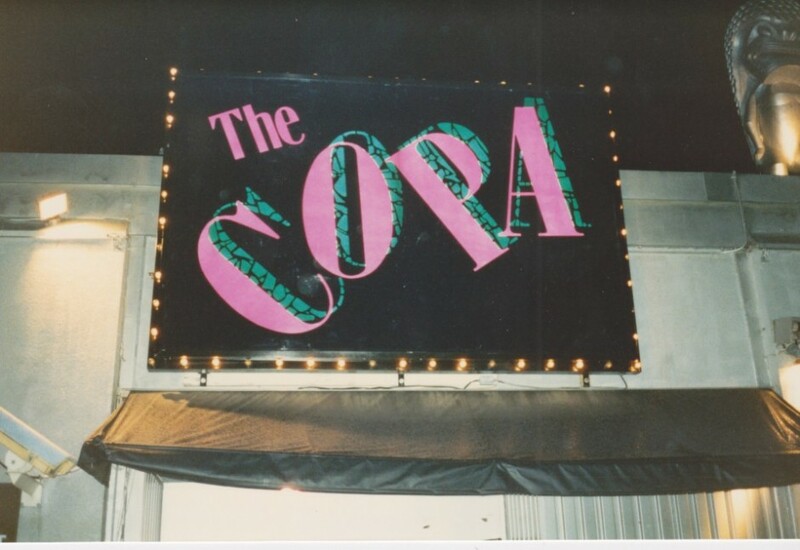 History: Yorkville dance club and concert venue The Copa made its mark as one of the largest and busiest nightclubs to emerge in early 1980s Toronto. Opened in August 1984, the hotspot was located on the south side of Scollard, in a mixed commercial and residential area. Its owners, the Chrysalis Group, were no strangers to Yorkville, having already opened trendy restaurants Bemelmans and the Bellair Café nearby. Chrysalis, in particular its CEO Tom Kristenbrun, would also go on to open Toby’s Goodeats and Bistro 990, but Chrysalis Group would make their mark with music as well as food. Club Focus bouncer Marc Kyriacou. Photo courtesy of Johnbronski. Article originally published February 29, 2012 by The Grid online (TheGridTO.com). 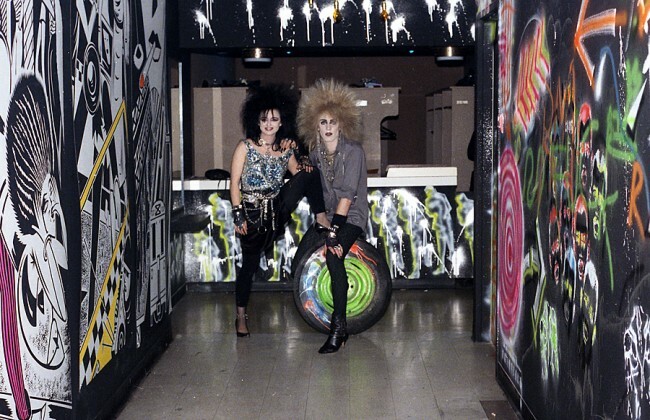 Denise Benson looks back at the all-ages venue that first introduced many of today’s top nightlife-industry players to the Toronto dance scene—and also served as a breeding ground for infamous ‘80s street gang The Untouchables. History: Club Focus was housed in a nondescript, two-storey building that would have been constructed during the decades (1870-1960) when Toronto’s original Chinatown was centered near the corner of Elizabeth and Louisa. The one-block-stretch that runs parallel to the north end of City Hall, from Elizabeth to Bay, was later renamed Hagerman. In the 1950s, many buildings in this still-industrial area—with the original City Hall and Eaton’s Annex main store nearby—were obtained by the city for the construction of Nathan Phillips Square and a new City Hall, which opened in 1965 and spurred nearby development. The Eaton Centre was built two blocks away, on the east side of Bay, in the late ’70s. 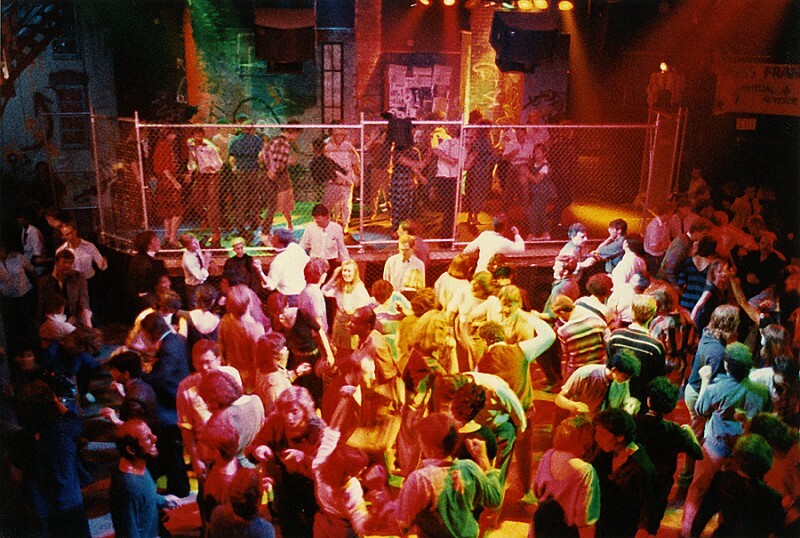 While Focus opened upstairs at 14 Hagerman as an unlicensed, all-ages dance club near the close of 1986, the site had already been a social hub. As Hagerman Hall, it had hosted community dances (including those of pioneering gay organization Community Homophile Association of Toronto, a.k.a. CHAT, in the very early ’70s) and a karate club; the space was known as Club Kongos in the early/mid ’80s. Anything could happen at Club Z. Photos courtesy of INK Entertainment. Article originally published February 16, 2012 by The Grid online (TheGridTO.com). 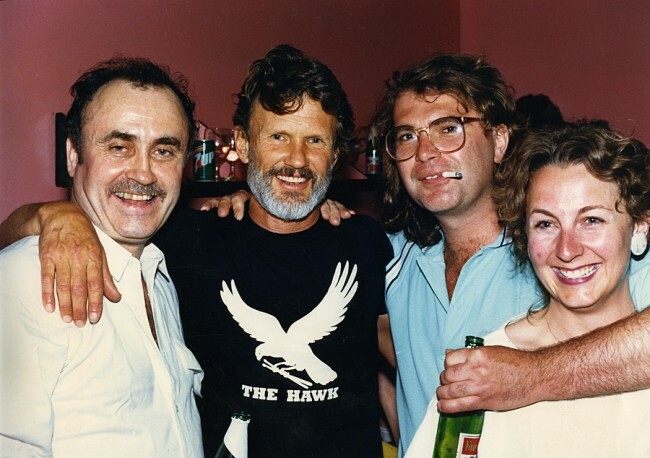 In this instalment of her ongoing nightlife-history series, Denise Benson looks back at the first club creation of Toronto nightlife magnate Charles Khabouth. At just 22 years old, he opened Club Z in 1984, but its groundbreaking legacy lives on to this day. History: Tracing the history of this city’s nightlife tells us much about its physical transformation and urban development. Nowhere is this more obvious than at the corner of Yonge and St. Joseph. Here, we’ve recently seen a few significant buildings largely demolished as part of their ongoing metamorphosis into Five Condos. I had often wondered about the physical similarities between the original red brick buildings at 610 Yonge, 5 and 11 St. Joseph, and 15 St. Nicholas, but only recently noticed the plaque on 11’s easterly side. It turns out that moving and storage company Rawlinson Cartage built all of them, with the warehouse space of 11 St. Joseph constructed between 1895 and 1898. 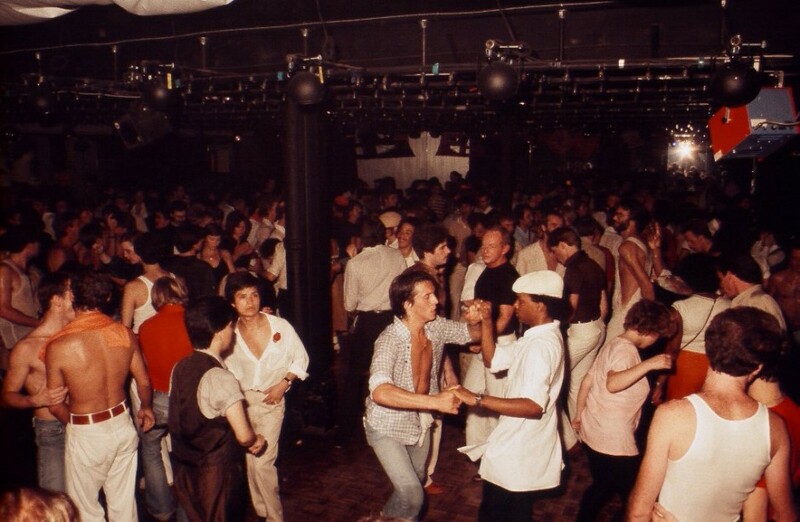 Gay Torontonians who socialized in the 1970s and early ‘80s will remember 11A St. Joseph as popular all-ages discotheque Club Manatee, a three-level spot where the DJ booth was in the bow of a boat hanging above the crowd. 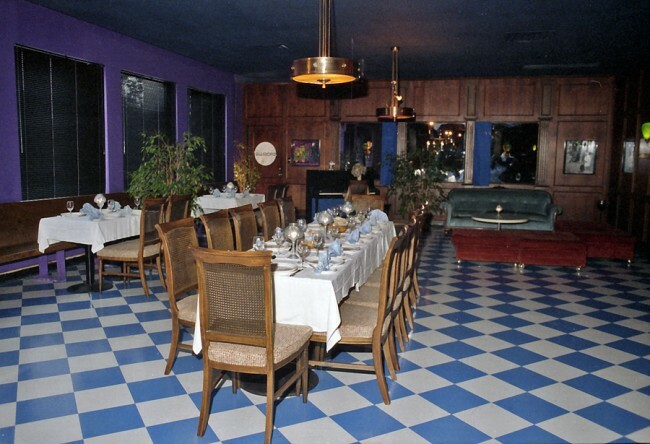 In September of 1984, directly after the Manatee’s closing, a 22-year-old Charles Khabouth debuted as a nightlife entrepreneur by opening Club Z in that very location. Now known as the CEO of INK Entertainment, whose many impressive properties include The Guvernment, La Société Bistro and the Bisha hotel/condo project, Khabouth started with just $30,000 and a desire to fuse his love of music, fashion and dance. 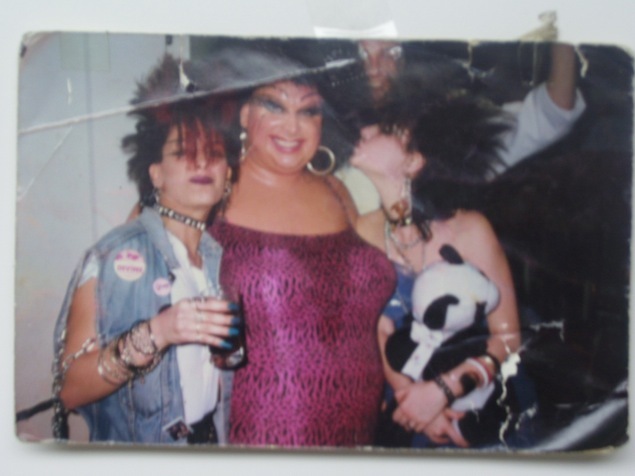 Divine (centre) with Nuts & Bolts regulars Lynette and Sherri, 1987. Photo courtesy of David Heymes. Article originally published December 14, 2011 by The Grid online. Admittedly, it was difficult to research this club’s earliest years and contributors. As a result, a number of details originally included were inaccurate or incomplete, as pointed out in comments from a number of Grid readers. Some details have been updated as a result. This story will be further researched and developed for the Then & Now book. 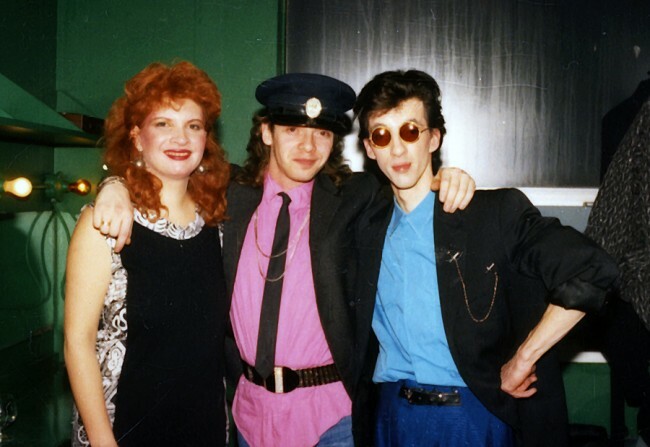 In the latest instalment of her nightlife-history series, Denise Benson takes us back to a time when the edge of the Ryerson campus served as a breeding ground for Toronto’s alternative-scene explosion. 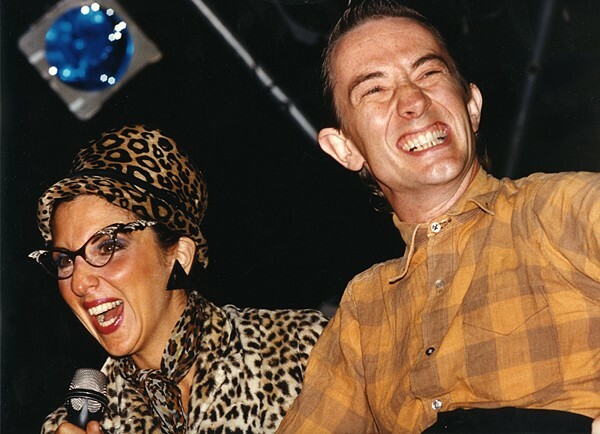 Club: Nuts & Bolts, 277 Victoria St.
History: In many ways, fabled alternative bar Nuts & Bolts was one of Toronto’s most unlikely dance-club success stories. Housed in the basement of a six-storey office building on the edge of Ryerson University’s campus, Nuts & Bolts was owned by Frank Cutajar, also proprietor of the All-Star Eatery, located on the ground floor of the same building. 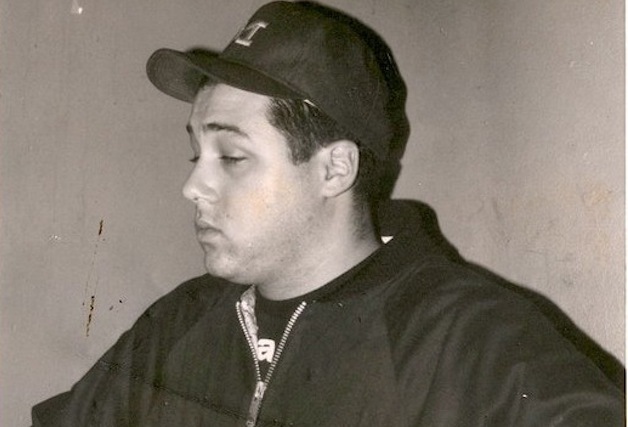 According to all I spoke with and based on my own experiences—my first professional DJ gigs in Toronto were at Cutajar’s gay/alt club Showbiz, located around the corner, upstairs at 3 Gould St.—Frank was far from cutting-edge or visionary in his approach to running clubs. But he hired wisely. It seems Nuts & Bolts’ first manager, Ed Jandrisits, was heavily responsible for the bar’s post-punk lean as he, in turn, hired a new-wave-loving staff. 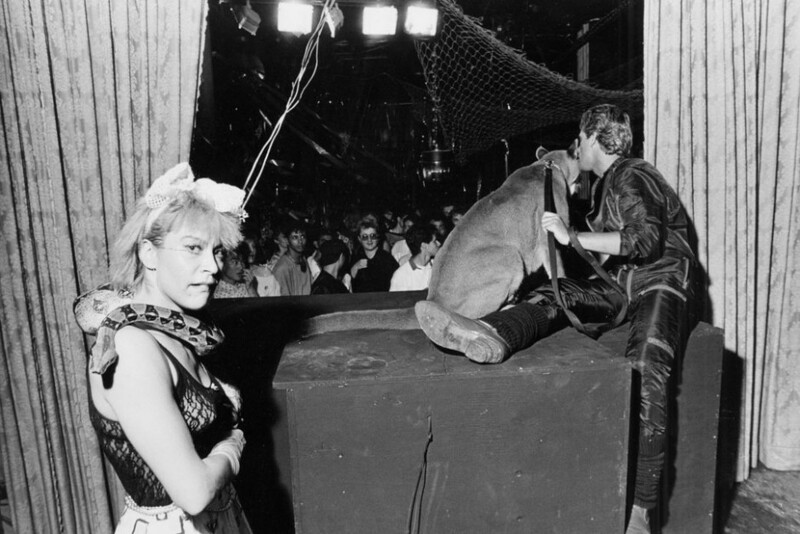 Jandrisits set the tone for the venue’s family vibe, with a great number of its bartenders, DJs and other staff—including infamous doorman Henry, who greeted people as they made their way down a dark staircase and through double metal doors—remaining at the club for years, often in a variety of jobs.